Focused on exploration of the west, American Safari Cruises' yachts specialize in upscale adventure cruises. Itineraries offer passengers active experiences at each destination - wildlife searches, skiff explorations, kayaking, hiking, mountain biking, snorkeling, stand-up paddle boarding, coupled with the evening of fine dining. 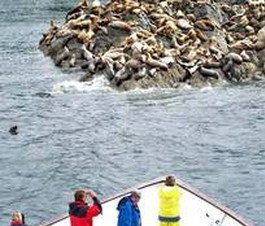 All American Safari yacht cruises sail only by day so you see it all. Destinations include the most intriguing areas of North America - from Southeast Alaska, the Columbia and Snake Rivers, the Pacific Northwest, Mexico's Sea of Cortes and beyond to the Hawaiian Islands. The Seattle-based cruise line operates three luxury yachts: the 22-guest Safari Quest, the 36-guest Safari Explorer and the 86-passenger Safari Endeavour. Shore excursions and activities, premium wines, micro brews and spirits are included. American Safari Cruises specializes in authentic, active, deluxe cruises and charters on three luxury yachts. 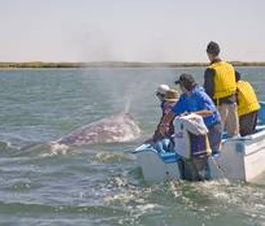 Itineraries focus on close-up viewing of wildlife, fine dining, and activities such as kayaking, beachcombing, hiking, snorkeling, sailing, and explorations by motorized inflatables. American Safari Cruises offers an alternative to traditional large- and small-ship cruises by taking guests into areas that are not accessible to most larger ships, and on excursions and to activities that are exclusive, private, and unavailable to most other travelers. American Safari’s yachts travel only during the day so guests miss nothing along the way. They anchor every night in pristine coves or dockside in small villages so guests can explore by water and on foot. In Alaska and Mexico’s Sea of Cortés, daytime cruising to secluded islands and seldom visited areas yield unique opportunities to experience, by kayak, launch or on foot, a rich variety of wildlife and local cultures. In the Pacific Northwest, guests enjoy unique art tours and wine tastings. The crew includes a professional Expedition Leader/Naturalist who organizes activities and provides presentations on the day's sights and activities, and a gourmet chef who serves up fine food and fresh-baked goods. With so few guests and a purposeful focus on nature and the outdoors, the itinerary is flexible and can be altered at a moment's notice to maximize wildlife and scenic viewing opportunities.